If it wasn’t for the changes in DNA, the world around us, and the scenes of life inside it would be very monotonous. It’s these subtle differences in DNA that result in different people having diverse physical traits like a different color of hair etc. However, there are some changes which are much more hazardous than these normal variations and in the science of genetics, these are referred as DNA Mutations. DNA mutations exist for some reasons. DNA replication is a process that keeps on going with the life of a living organism as the cells divide to give birth to new cells. DNA replication involves copying of DNA from existing cells to form DNA for new cells. Errors, though very rarely, can happen at this copying of genetic information stage resulting in DNA Mutation. 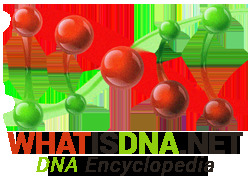 DNA Mutations can also occur as DNA gets damaged by many environmental factors and agents such as ultraviolet light, nuclear radiation, viruses, cigarette smoke etc. Fortunately human bodies have a self-repairing mechanism to fix most of these DNA errors. However, some damages are permanent and the age factor also results in deterioration of this repairing system. It is interesting to note that not all DNA mutations are passed on to the next generation. It’s only the germline mutations, i.e. DNA errors in eggs and sperm-producing cells, that are carried over to the next generation. Unfortunately, each and every cell of the offspring in this case will have a mutated DNA, that’s how hereditary diseases run through generations. DNA information is made up of four nucleotide bases, which for the simplicity in this article can be referred to as A, T, G and C. Now the way these nucleotide bases have to pair up for DNA formation is that A always pairs with T and G has to go with C., Of course, there’s a lot more complexity to DNA formation that this, but we are only interested in knowing how DNA mutation occurs. Any of the environmental factors we mentioned above can make one of the nucleotide bases be taken as another nucleotide base and hence pairing of incorrect bases will happen, e.g. G with T, and result in DNA mutation. To summarize, DNA mutation is basically genes having the wrong information to produce proteins. The result could be the malfunctioning of these proteins that are essential to the right working of the human body. Mutation can also result in either lack of or availability in wrong quantity of some proteins.